Minoca third party packages smoke tests. Don't run this plugin on production system, it might be harmful. Use dedicated test boxes. 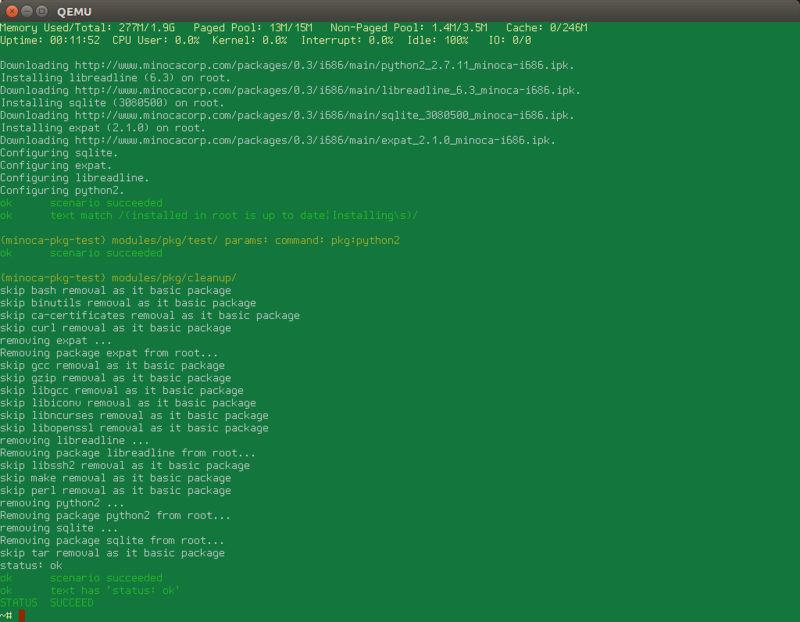 Packages list to check gets build in runtime parsing output of opkg list command. Smoke tests are shell commands gets executed with output gets analyzed. To know what packages are already installed use list-installed action.